Useful management control systems using Excel apps that work without investment in MS Access or other expensive programs. These Excel apps are custom-configured to your needs and provide open or closed access to basic, task-level controls. Combo-counter swiftly counts/computes up to 400 combos of up to 1,200 items in user-defined combinations. Task-Assigner allows manager or employee control of up to 5 task-types controlled by Intranet forms. Sorry - these apps require ongoing maintenance contracts. Click here! 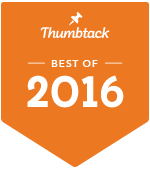 This site is dedicated to the importance of peace, publishing and education. In peace, Cook Communication participates in Worldwide Peace Organization, Internetional Associatoin of Educators for World Peace, ISOL Foundation and similar organizations. In publishing, Cook Communication provides support for new writers who seek publication of their fiction, poetry, or nonfiction works. In education, Cook Communication provides support for training in business communication, creative writing, and information processing - including statistical analysis of business/social data, mapping, and marketing promotion. 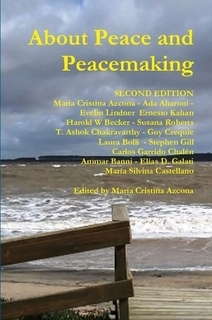 SECOND EDITION This is a compilation of peace articles by famous writers and philosophers specialized in peace building matters and a summary of their respective point of view. Twelve writers, twelve minds, twelve styles but only one obsession: To resolve the dilemma of war, social violence and the preservation of human life. Love, life, humanity, serenity of thought, familiar peace and other meanings around the need of a change in this crazy, violent and self destructive civilization, are some of the topics in these essays. Peace is possible especially through literature as we explain in the book but also through the education of respect to human dignity… Take a tour on our proposal of solutions to this severe illness that is causing the decadence and perhaps death of our blue planet Earth. Read and think on your own point of view and rethink this book upon your vision. That is our dream. We cannot wait, we want to read your own creative opinion.